What follows "Escape from Taiwan" and "Hiding in Asia"? - "Bored in New Jersey?" - "Confused in My 20's?" - "Watching TV in My Living Room?" "If you believe it, there will be, but if you don't, there will not." There are many ghosts in Chinese culture. Ghosts have been believed and worshipped by Chinese for a few thousand years. Even Confucius said, "Respecting ghosts and gods, but away from them." Many people believe ghosts, yet many don't. Chinese people often say, "If you believe it, there will be, but if you don't, there will not." Here is a story about this saying. 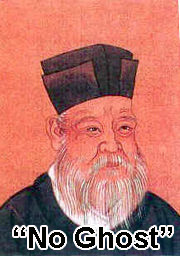 Zhuxi was a famous scholar in the Song Dynasty (960 - 1279). He believed there were no ghosts in the world, so he decided to write an essay "No Ghost." It was said he was a great sage so even ghosts were afraid of him. If he said no ghosts, ghosts could no longer exist. When ghosts knew he was writing the essay, they gathered together to discuss this and decided to send the smartest ghost to entreat him abandon the writing. So one night, the smartest ghost appeared at Zhuxi's desk and kowtowed towards Zhuxi repeatedly. "You, the ghosts have been worshipped in the human world for so long. Isn't the time for you go away all together." "We also have good and bad ghosts..."
"Well, I heard you can do anything. Can you move me to the outside?" "You can move my body. Can you move my heart?" "That is impossible to do, Sir.But we can move things or a person's body so that it proves we exist. We exist in illusion. If you believe it, there will be, but if you don't, there will not. Can you say something like that in your essay, Sir?" Zhuxi felt the words did have some merits so he promised the ghost he would do that. The ghost left happily. Therefore, Zhuxi wrote the words, under the title of the no ghost essay, "If you believe it, there will be, but if you don't, there will not." More on Zhu Xi , I dig his principles. Go Mencius! 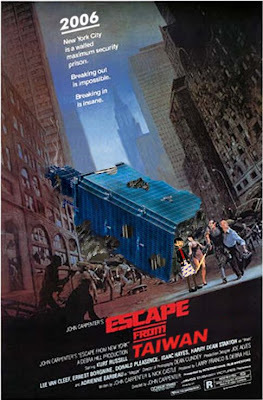 In three days, I will stage my 4th attempt to bust out of this island cage and get HOME. Wish me luck? -my grandma was still around. -my mom wasn't living by herself. -I wasn't leaving some GREAT friends behind. -I knew WHEN I can see these friends again. Oh yea, and if ya think that ditching your friends, family, and a cushy job to move halfway across the world with gaping, looming, boundless, and vast uncertainty waiting for you is easier the second time? I will miss many things about my Ah-ma. The cute way she shuffled, how hysterically she could laugh without stopping, her voice getting higher and higher, her selflessness, her disdain for vanity, and how much she much she cared for my happiness…all those things. But the thing I will probably miss most is the sound of her voice, and with it all the things she had to say. My Ah-ma was a most opinionated lady, and she showed no hesitation expressing her ideas and opinions. She was spunky, sassy and strong. She may have been the smallest in our family, but her presence dwarfed all others when you were in a room with her. Next to my tall, quiet and patient grandfather, Ah-ma commanded the center of all attention, and because of that she was the center of our family. 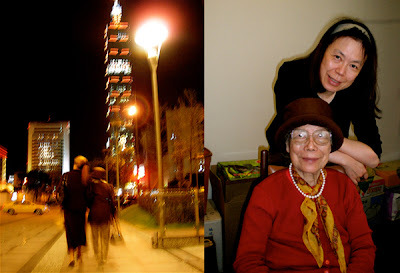 Growing up, my association with my Ah-ma has always been hearing conversations about family, politics, culture, and gossip, with Ah-ma’s voice rising above everyone else’s. Her passion was always the most alive in our group. I am lucky to have had such a strong and passionate woman for an Ah-ma. Her influence is apparent by looking at all the women in our family. My mother and my aunt are certainly strong and intelligent women who take after their mother. As the eldest in my generation, I follow their example too, and I only hope to have children one day who are just as alive as my Ah-ma was.